No hat, tennis shoes, T-shirt or baggy jeans. Whether you are a Las Vegas local or a visitor in the town, one thing people will always come together on is the Sin City nightlife. Yet, before you make the decision to step out and enjoy the town, make sure you come prepared because if you are not, it could get a bit embarrasing for you. The city that you might see in the day time is by far not the city that you see at night. From the lights that light up the sky to the constant non stop traffic of people, Las Vegas is truly an entertainment town and if you want to participate in the after hours fun, you are going to have to make sure that you dress the part. If you do not, then your night life is going to be limited to slot machines and endless walking. Most casinos will have a night club or a lounge that consists of not only a wide range of music, but ushers at the door who have a main purpose of not just making sure that the people entering their establishment are of age, but that they are dressed to impress! In a different town that could mean a number of different things, but in Las Vegas dressing to impress, simply put, means pull out you best threads and do not be shy about it! You don't necessarily need a tuxedo, but gentleman, slacks and a nice collar shirt would do you some good. Most places are not going to let you in if you are wearing a baseball cap or some saggy jeans. Pull the pants up, wear a belt and a fitted shirt. Yes, there are some stylish men out there that can make denim look real good, but most clubs are not going to let you in if you are wearing it. Denim in Vegas, is considered casual wear and should be left to the daytime fun. Keep in mind that being suited and booted from head to toe is the key to making the Las Vegas after hours nightlife work at its best! Women, please do not have the misconception that you need to wear a prom dress in order to make your appearance. Sin City is notorious for women putting on form fitting skirts with an equally amazing pair heels and a matching clutch. (Clunky purses can get in the way, whether its a bar or club). It is very important to know that jeans and tennis shoes, although stylish as it may seem, are a complete no go when it comes to the late night fun. Sure, if you want to walk the strip and take in the lights then by all means wear them. In that case jeans, shorts and sneakers is the way to go. However, if you feel like grooving to a night time beat, then you are going to have to change up the flavor just a tad, put on your finest and enjoy the town. 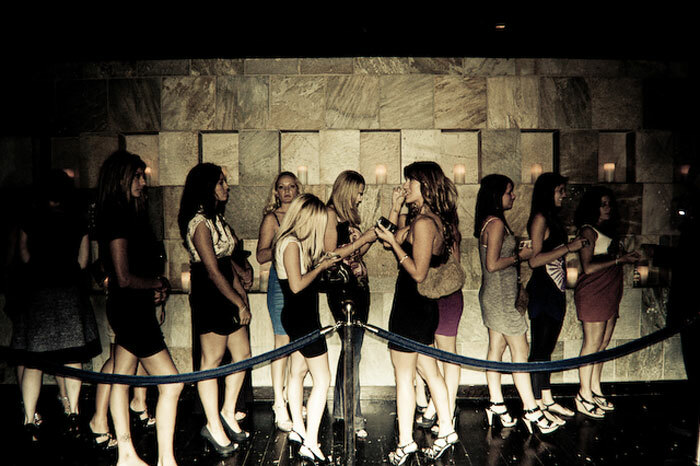 Dress to Impress at Vegas nightclubs and pool parties. 5.0 on Sept 27, review by Tomas Y.